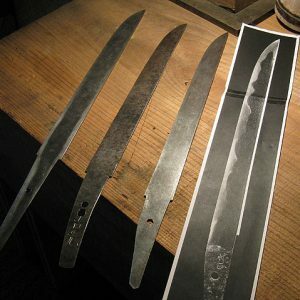 Precision cut templates based on historical blades for reference, study, and appreciation. 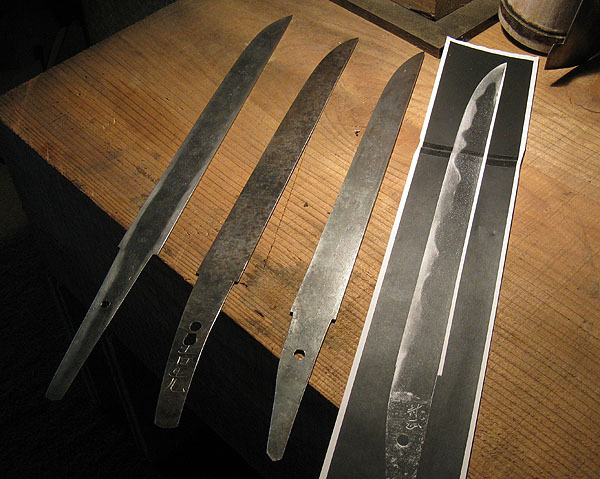 Among the most famous tanto of all is the Aizu Shintogo by Shintogo Kunimitsu, made in the late-1200s. The second kata is a Yukimitsu of the Soshu school from the mid-1300s. 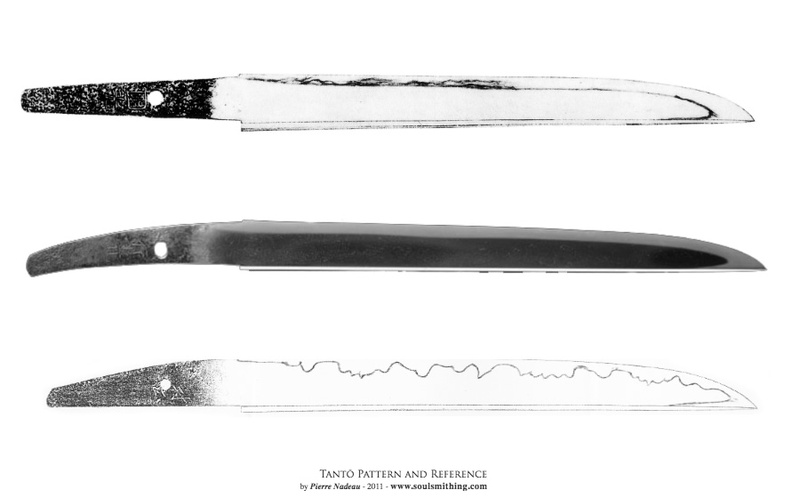 A tanto from Muramasa school in the mid-1500s is the third example. Blade lengths are approximately 25cm-26cm. Note that the above photo is for example only and does not show the kata described, the originals are illustrated below. These templates are based on historical blades and precision cut from 2.5mm mild steel. 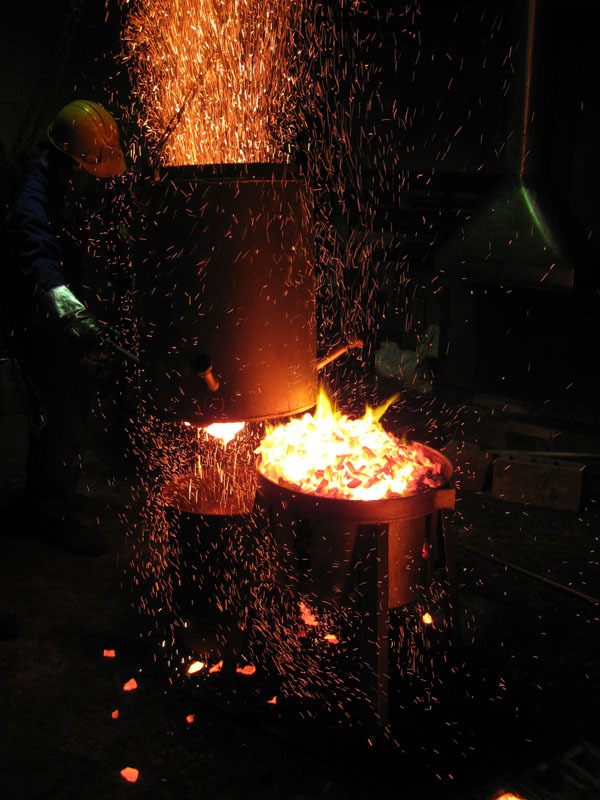 Note that the steel surface is unfinished and may show signs of oxidation and scale, some oiling and care is required occasionally. 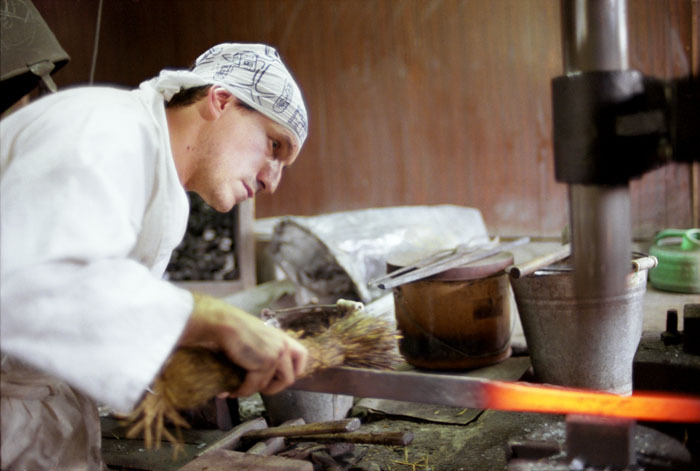 Apprentices were asked to make as many kata as they could: these are eventually used for sword making, can be kept for a lifetime for reference and study, and their very making is a good opportunity for practice. A good to way to learn proper sword sugata, or silhouette, is to make a kata, or pattern, from 1.25-1.5mm thick sheet of mild steel. 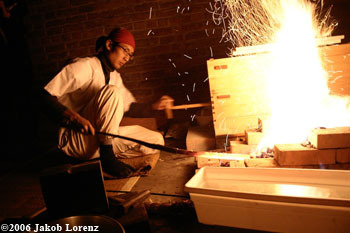 Learn about making your own kata.